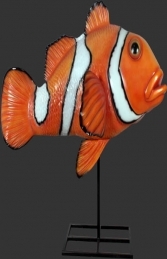 Our Giant Clown Fish hanging model is fantastic for any Aquarium, Zoo or themed areas. The model makes a great splash of colour to promote your business or turn your neighbour's heads! 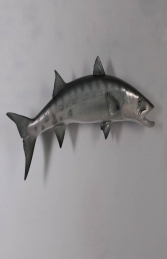 The Giant Clown Fish hanging would be a great model to promote your Aquarium, Zoo, Nautical, Marine fish display, Restaurant or your own home! With his bright splash of colour he would turn heads and promote your business no end.